BillSki – are a small & English speaking company working out of Morzine in the Portes du Soleil, France. BillSki was set up with the aim of providing high quality, individually tailored lessons through a passion for skiing. BillSki only uses fully qualified international ski instructors. All of their instructors are friendly, experienced & have extensive knowledge of the Portes du Soleil ski region. The British Alpine Ski School (BASS) – Morzine and Les Gets are a small team of specialist teachers that offer state of the art teaching in your native language with small groups of 6 pupils maximum. Their clients tell us that their service is what makes them come back to Morzine year after year. POP Snowboard School – is an independent British snowboard school with highly qualified & experienced snowboard instructors, operating in the Portes du Soleil ski resorts of Les Gets, Morzine & Avoriaz. Their aim is to help you get the most out of your winter holiday, with snowboarding lessons for all levels from beginners to aspiring snowboard instructors. 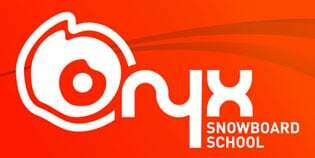 Onyx Snowboard School – Have more fun standing sideways during your holidays with our range of snowboard lessons in Morzine, Avoriaz & Les Gets. Group & private lessons available for everyone from first timers to freestylers & confidence builders to off piste explorers, all delivered with passion & personality by our highly qualified team. Gypsy Snowboarding – is a partnership between Laura Berry and Sarah Fish, two of the top UK female snowboard instructors. Their passion for teaching plus their fun nature is what sets Gypsy Snowboarding apart from the rest. If you want an informative fun session then these are your gals. If you have a property or business that you would like to advertise (with a link exchange) & think that it would benefit PowderCab’s customers, please contact the PowderCab Team directly. Get a Quote and Book Securely Online Now! “Really impressed by your setup, most professional yet personal and attentive whilst dead easy for a computer fool like me. Brilliant."